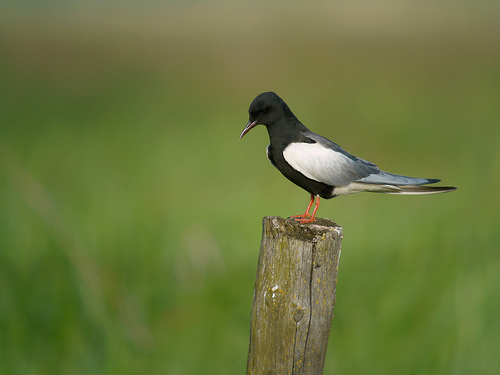 The White-winged Tern is a rare bird in western Europe. It is usually seen in groups of Black Terns heading south. The bird has a black appearance with bright white wings. The White-winged Tern has light-grey and white wings. 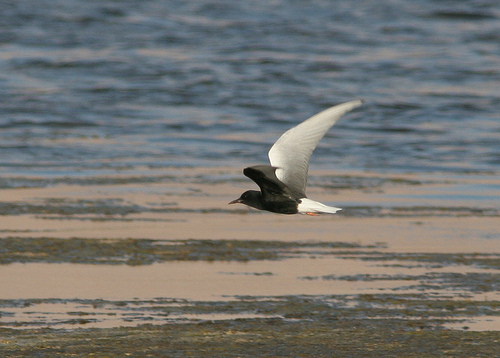 The Black Tern has grey wings.